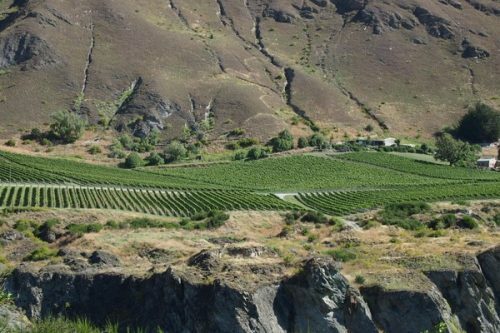 With just a shade under 100 hectares of their own vineyards, Chard Farm are one of the larger players in the Central Otago region. 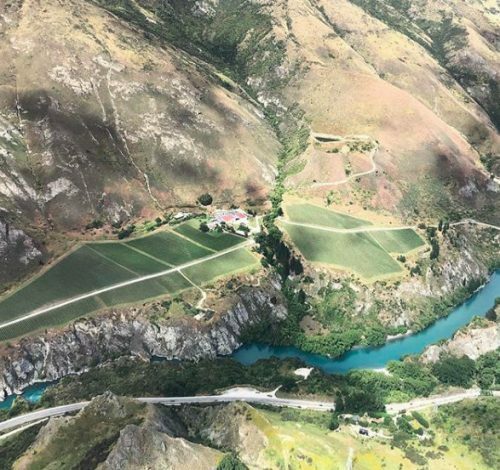 Their beautifully situated home vineyard, at the end of a slightly terrifying 2 km track at the side of a gorge in Gibbston, is one of the prettiest I’ve seen, but this accounts for just 12 of the 100 hectares they own. 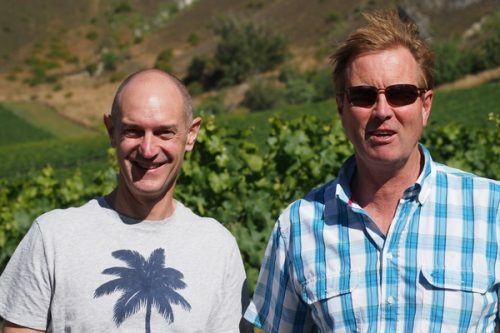 I met with winemaker John Wallace and proprietor Rob Hay to taste through some current releases. They explained that buying good quality contract grapes in Central is getting more difficult. 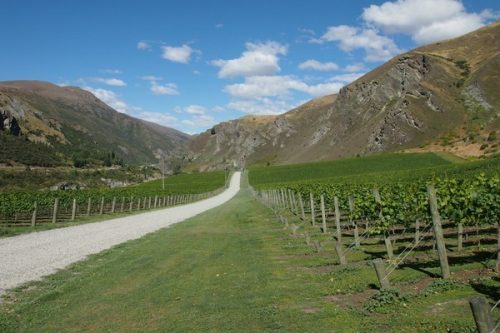 This is because the sales people of the big Marlborough-based wineries tell their bosses they need more Central Pinot, so they come down and buy it up, and the grapes leave the region. 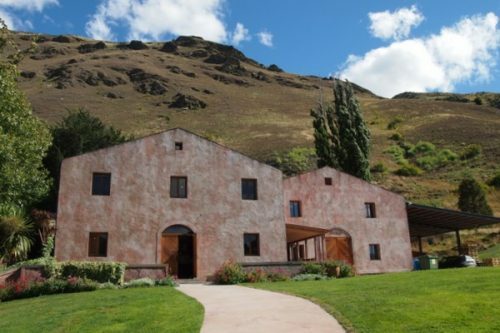 They need contract grapes for their most successful wine, the $26 Rabbit Ranch Pinot, which at 45 000 cases is the region’s biggest seller. Talking of rabbits, they area problem and can decimate the vines by damaging the trunks. Last year they spent $28 000 on rabbit control. They recently bought a night scope for $9000, and in one night in the Dunsford Vineyard killed 890 rabbits. This meant there was a ton of rotting meat there for a while, which didn’t smell all that good. But the vineyard now has lush growth in it and the trunks aren’t being damaged. 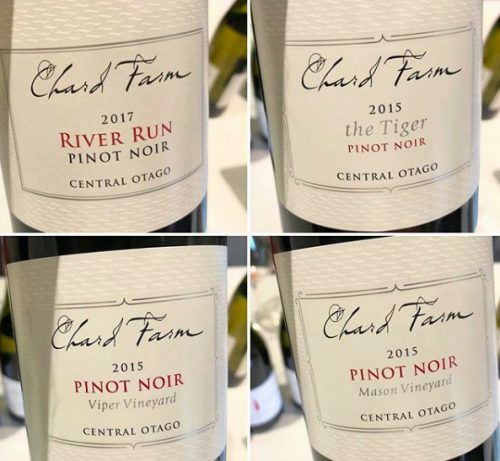 John Wallace is a sensitive winemaker and the top Pinot Noirs are quite light in colour, with low oak imprint: he uses 20% new oak (lower than many) for the top Pinots, and he’s not trying to work them too much. The result is wines that are extremely expressive and potentially long-lived. ‘As the vines are getting older we are starting to see a bit more structure,’ he says.